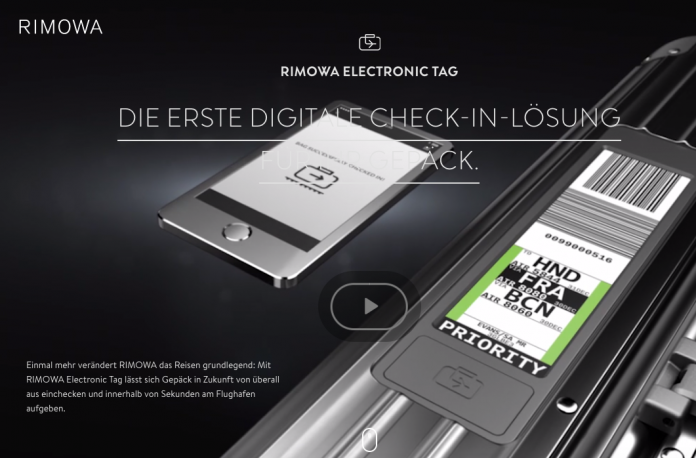 The Electronic Baggage Tag that Rimowa introduced just a few years ago seems to be ending it’s existence prematurely as the manufacturer already took it out of the new series. E-Tag luggage doesn’t appear in the most recent catalogue anymore, stores in Germany are having sales offering discounts on e-tag bags and rarely any airline is supporting the system. While there has been no formal announcement on this matter yet the tell tale signs are pretty clear that the electronic tag is on it’s way out. The technology of the Rimowa Electronic Tag (see their website here) and specifically the battery power source has been point of contention for airlines as especially in most recent history owners report that many airlines force them to take out the batteries before the bag can be checked in. 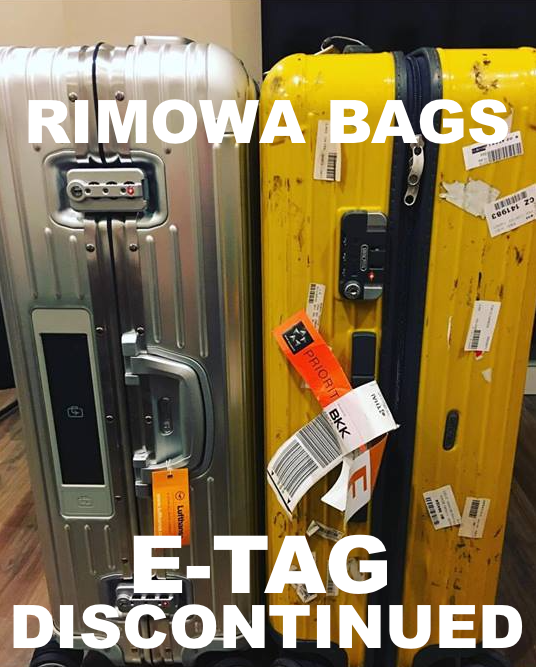 Rimowa might have terribly misjudged the functionality, consumer demand and airline behavior related to the eTag baggage with the products overall performance and acceptance leaving a lot to be desired. I expect that the future of baggage identification will be RFID and not the bar code. Qantas has been using their own Qantas QTag based on RFID technology for years now. The item can be purchased from Qantas through their online shop. If you go through the new catalogue of Rimowa luggage (see here) that has been put together after Rimowa was purchased by LVMH the e-Tag is now gone from all collections. Certain luggage retailers in Germany such as Lufthansa Worldshop actually started a fire sale on eTag baggage and offered a 100 EUR discount for these items. I purchased one for a friend back in May (see picture above) and she was happy about the savings, yet the display is super ugly and definitely not favorable if you purchase a suitcase for the aesthetics of it. I feel somewhat sorry for those customers who have paid a premium in the last two years for actually purchasing an eTag Rimowa on purpose. In fact going through retail outlets and Rimowa shops here in Asia they are still selling those suitcases at regular retail price and without any discount. I’d suggest that people hold off purchasing these bags as the technology is on it’s way out in favor of RFID.